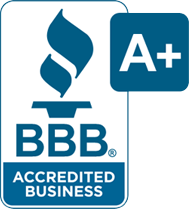 The Cleaning Studio is Northern Illinois and Southern Wisconsin’s most trusted name in fine rug care. At The Cleaning Studio, we know that all rugs are unique and that your oriental and area rugs are not just art treasures, they are also very valuable investments. That’s why we clean them with so much care and attention to detail. Doesn’t your rug deserve a unique and individual cleaning? We start by doing a thorough analysis of your rug. The Cleaning Studio will customize the cleaning process for the needs of each individual rug. 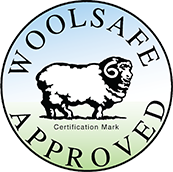 With patented tools and equipment designed specifically for the cleaning of oriental rugs, we provide a thorough and effective, yet gentle, cleaning process. Depending on the particular fibers, dyes, soils, and construction of the rug, we’ll draw from a wide range of different cleaning techniques. We do not use pressure washers that use excessive pressure that could damage a delicate rug. Why shouldn’t I just clean the rug in my home? 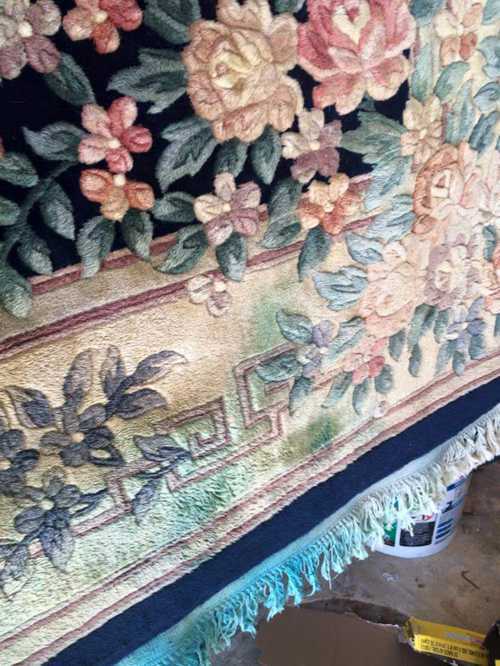 The rug below is a great example of a rug that was improperly identified, tested and cleaned by a carpet cleaning company, notice the dye bleed. This rug was sent to Colorful Carpet for color restoration.